I am tempted to create a Mochi song, simply because it makes me happy but since I’m tone deaf, I will be satisfied with telling the world—or at least you guys—about how yummy Magnolia Mochi is. Traditional mochi is a Japanese rice cake made with glutinous rice. Polished glutinous rice is washed then cooked, after which, it’s pounded to make the pliable, moldable mochi. A special kind of mochi called daifuku has various sweet fillings, like anko (red bean paste). It is then rolled into a soft ball, then dusted with cornstarch so they won’t stick. Daifuku is yummy. There’s a play between the bland yet soft and gummy mochi and the sweet and pasty anko. Still, can you imagine biting into a daifuku and being greeted by a mouthful of smooth, creamy ice cream? That’s exactly what Magnolia’s Mochi is. Mochi stuffed with ice cream. It’s available in two variants, ube and sesame. I tried the sesame and was quite happy with it. The mochi was thin, soft and flexible, holding the ice cream in without overpowering it, thanks to the relatively thin layer. The ice cream was creamy, sweet and reminiscent of green tea. I’ve eaten Magnolia’s Mochi twice—one time after walking under the sun, making the ice cream center soft and the second time after refreezing the mochi. I like it best slightly melted, with the texture and consistency of soft serve ice cream. It gives the mochi a softer bite, allowing you to appreciate the gentle gumminess of the outer coating, while giving you a cold, creamy burst of flavor that gently spreads a velvety blanket on your tongue. At PhP 9.95 per piece, it’s not the cheapest ice cream candy option out there, as I’m sure some people will opt to pop it in their mouth whole. Also, it’s still cheaper than other Mochi Ice Cream snacks (like Haagen Daaz). Despite the small size, it packs a flavorful punch that plays with flavors and textures so for me, I find it well worth it. 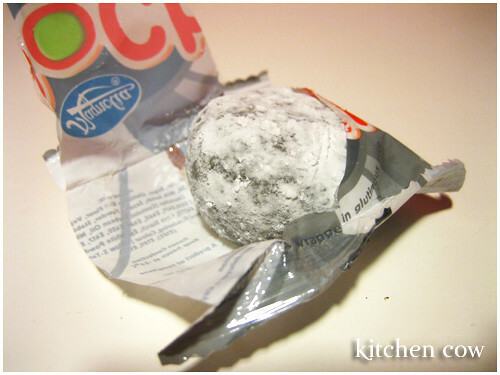 I highly recommend grabbing a couple then stuffing it in your refrigerator’s chiller, rather than the freezer for that soft mochi experience. Di pa ako nakakakita niyan. May nakita lang akong ads but not the actual mochi ;_; saan meron? Wow! You make me hungry. I love love love love x 30 sesame mochis, especially if it’s made by my mom. I love peanut mochis, too, if my mom makes it. But, if somebody out there makes mochi like my mom, I’ll be most faithful costumers in the world. will check out magnolia’s freezers ASAP. That looks awesome. I’m going to go look for that this weekend. I’ve never seen this brand, but I’ve had ice cream mochi before! It’s very good! I like the green tea, mango, and vanilla flavors…Yumm! come on – sing it! Hi! i love your blog! I just want to ask if you have any suggestions where i can get cute and good bento lunchbox here in the Philippines? thanks! mmm….i haven’t see them around yet. haven’t seen this around either…san kaya meron? Homemade? Wow, that sounds fantastic. I saw a recipe for Homemade Mochi Ice Cream somewhere. I definitely want to try it. Does your mom make the ice cream version or the classic traditional version? Hope you find some. They really should make distribution more widespread. Tanong mo kay berrymix, I saw it first in one of her bentos months ago pa. It is! It’s definitely Omnomnomnom material. It’s a local brand and I think the only locally made Mochi Ice Cream. I’m envy you though, I imagine Mango and Green Tea would make such yummy mochi ice cream! Lemme know where you find some. I want to buy them in bulk! Not practical to do when I buy at Rustan’s since I can’t bring it home. Thankies! I usually buy my boxes from Japanese groceries, 88 peso stores, and surprise! SM Department store! They really should make distro more widespread. As it is, the only store I know which stocks it is Rustan’s Fresh. Sayang naman cause it’s really nyummy. So far, Rustan’s Fresh ko lang nakita e. I wish meron sa ATC. I want to stockpile them! I wish I had someone that sold these here! They look so very yummy! no specialty shops here I live in a medium sized oklahoma town, but next time I go to OKC i’ll check there! Are you up to experimenting? 😀 I actually found a how-to online, it might be worth a shot. I’ve been meaning to try it myself but just can’t find the time. Wow, I am definitely heading to Rustan’s Fresh tomorrow! It’s interesting for Magnolia to come up with a “mochi” product in the Philippines. 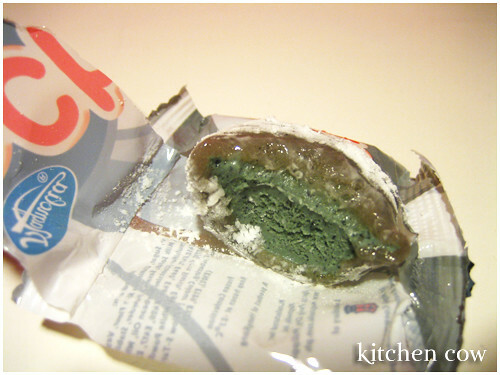 Though it’s far from the original mochi in Japan, the ice cream filling gives it a nice touch! My fiancee is Japanese, she should find this interesting. I have to say I admire them for trying. Plus it’s always nice to have two options, the original mochi (adzuki-filled daifuku is love!) and this ice cream variant. napullout na ata lhat ng stocks nito. I was so dissapointed, coz i really liked it. Hehehe, if you can’t find any, I have good news. I actually found the original Japanese mochi-covered ice cream called Yukimi Daifuku locally. I’ll post it up in a day or so. It’s going to drive you insane with its goodness. is this still available here in the philippines? where can i buy? huhuhuhu please please please i so love mochi. i’m from cebu & i haven’t seen this magnolia product ever. Parang hindi ko na s’ya nakikita But you can try buying Japanese-branded ones. Lotte’s Yukimi Daifuku is really nyummy, medyo mas mahal lang ng konti. Thanks for the link! I’ll give that a try sometime. Found your blog very interesting. I was searching around for mochi, since my wife started making home made mochi for the kids and for their school fairs. I never thought that it will be a craze for kids and even adults. Didn’t even try tasting thinking that it’s a kids’ treat. 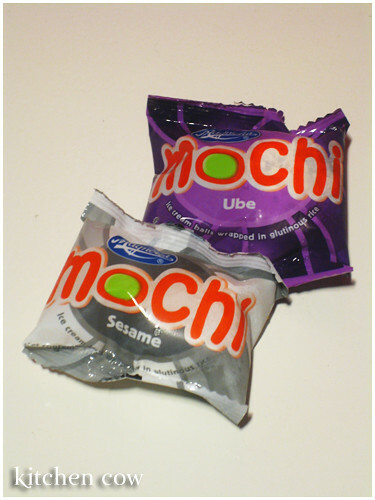 However, when i had an opportunity to sneak into one of their mochi packs, i never stopped craving for it.